You love living in La Quinta California, but life in the sunshine state is hot! Escape the heat of the sun with your very own custom-built pool or spa by Azure Pools & Spas. 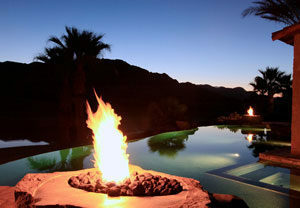 Azure Pools & Spas is a licensed and insured pool contractor that has been serving the Coachella Valley area since 1989. 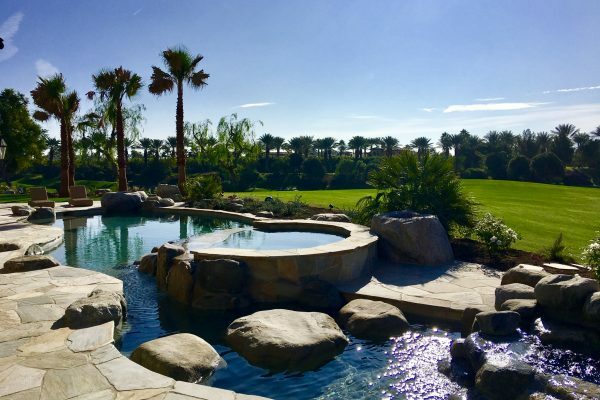 For nearly three decades We have brought quality, class, and style to backyards of La Quinta residents looking to create a place for family fun, cool exercise, and entertaining. Azure Pools & Spas is the pool contractor most able to create your dream pool today. Whether you are looking to remodel or new construction, the Azure team has the knowledge and experience to guide you through the entire process. After we get your call, we will send a member of our team to your home to meet with you personally to discuss your vision for your pool / spa. Measurements will be taken and plans will be started for your custom pool. We assist with HOA’s if needed and will obtain the City permits. Our team will physically layout the shape / dimensions of your pool for your approval prior to excavation. Throughout the entire pool construction process you will be able to see exactly what is happening with your project at each step of the way. Whether you desire a traditional or modern style pool, or are interested in exploring alternatives, Azure Pools & Spas is totally capable of turning a dream into a functioning pool or spa. We have a gallery of pool designs that have been successfully completed and are able to work with you to create your custom pool design. Our designs are meant to, not only look great, but to serve the functions that you request. You may desire a lap pool for fitness or would prefer a rock lagoon pool for entertaining guests. No matter what you have in mind, Azure Pools is able to bring your dream to life. If your existing pool or spa is not working for you, call Azure and let your worries drift away. Pool remodeling is one of our specialties. If your pool is beginning to show its age in functionality or appearance, we are equipped to remedy through remodeling. Azure can replace old equipment with new energy efficient equipment, update the aesthetics, or improve your pool through the addition of a spa, tanning shelf, salt water system, and more. As a pool contractor, we are also able to shallow deep pools or remove the existing pool altogether. Our team will consult with you to decide what type of pool remodeling is best to fulfill your wishes. A new pool is only a phone call away. Whether you are looking to demolish and replace an existing pool or starting fresh; Azure is the pool contractor with the know-how to get the job done. From beginning to end, Azure is the pool contractor to fulfill your dreams.